New Delhi, Dec 5 : Megastar Amitabh Bachchan has urged people to come forward and help victims of severe cyclonic storm Gaja. 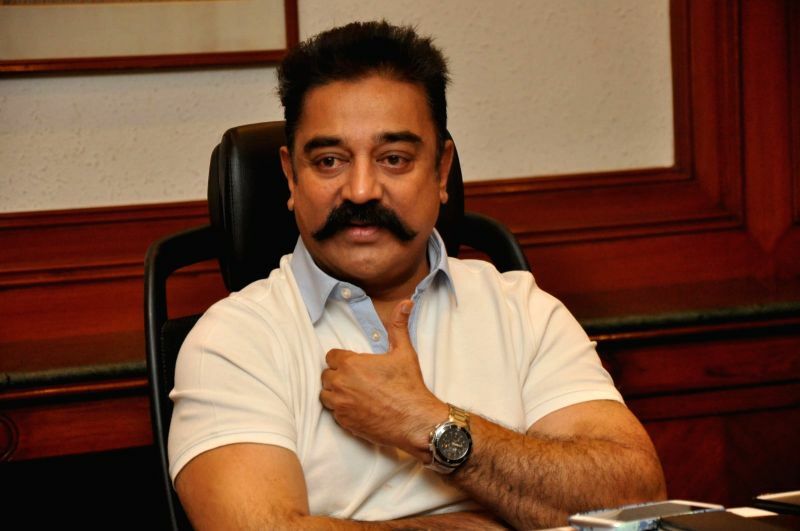 Superstar-politician Kamal Haasan thanked him for being the "thread which stitches our country together." "On the 15th of November 2018, the Gaja cyclone struck the coastal and delta districts of Tamil Nadu, leaving behind a huge trail of destruction in various districts of Tamil Nadu and union territory of Puducherry," Amitabh said in the video. He added: "The estimated number of people who have been rendered homeless is approximately 3.7 lakh and about 3.4 lakh homes have been destroyed. Between 60-80 per cent of concoct trees in the region have fallen, crippling the livelihood of farmers who contribute a quarter of India's major share of coconut production. "Lakhs of people have moved to relief camps, massive damage has been recorded...This is just an estimation....The damage is beyond imagination. The state and central government has extended help but support from volunteers, social organisations and socially conscious individuals would go a long way in helping affected people." Big B feels "the spirit of one nation" is cardinal to the prosperity and unity of India. "Many of us are unaware of the extent of damage caused by cyclone and suffering of the people. This is the time to bring out the spirit of brotherhood. Come forward to help our own." "You have clearly explained the devastation the Gaja Cyclone has wreaked in Thamizh Nadu. It is always people like you who have been the thread which stitches our country together in spite of all its diversity," he posted on his social media.